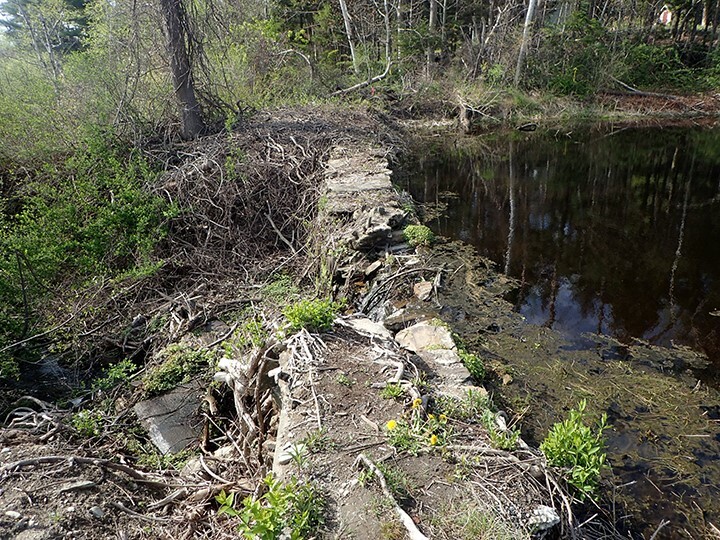 Join Oceanside Conservation Trust’s (OCT) Annual Meeting and the Peaks Island Land Preserve (PILP), on the backside of Peaks as we view PILP’s new Ice Pond Dam under re-construction this summer. The Ice Pond conservancy property offers us serene summer scenes and delightful wintry skating parties and is contiguous to OCT’s shoreline holdings of Echo Pond, Skillings Wood & Daveis Sanctuary. Featuring a special presentation from Reta Morrill, 5th generation Peaks Islander, sharing memories of the pond from “the way it was.” Light refreshments will be served at the event. Reta Morrill. Reta’s parents ran the Peaks Island Garage in the 1930s, where she still remembers the Old Town canoe tucked up in the beams. Growing up she watched her great uncle Henry Trefethen cutting, harvesting & storing ice from the Ice Pond for island hotels and cottages. Co-Author of A Glimpse Of Old Peaks Island, and Peaks Island Revisited, Reta and her friends, Ellin Gallant & Joyce O’Brien will join us to share their sharp memories of “the way it was”. 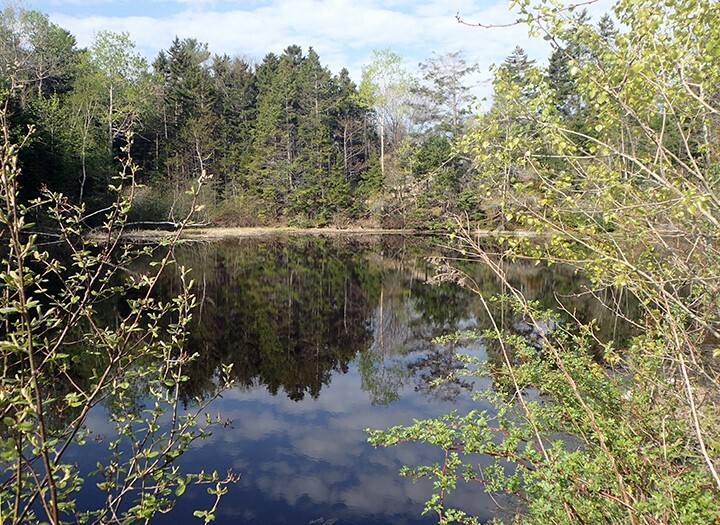 Join us at the Ice Pond on Peaks Island This property is one of the more scenic shoreland properties on Peaks. Come early, swim and picnic in the wind protected cove along OCT’s Daveis-Skillins property, right next to our Ice Pond annual meeting site. Bicycle rentals available at Brad’s Bike Shop Downfront. From Portland: Attendees may take the 3:15 or 4:30 Casco Bay Lines Ferry from Portland and return on the 7:45 Ferry. Van transportation provided on island. From the other Casco Bay Islands: Roger Berle will be traveling around the Bay to pick people up. Please indicate when you RSVP if you need a ride to reserve your spot. Or call him at 712-5565 or email: rkberle@msn.com to reserve a spot on his boat. Space is limited. If you have any special needs, please let us know in advance so we can accommodate as many people as possible. Please wear comfortable clothes and shoes for the island. Tick protection is advised. This event is rain or shine, so check the forecast; you may want rain gear. Free to members. You may pay the $20 membership fee to renew your membership or to join Oceanside Conservation Trust.